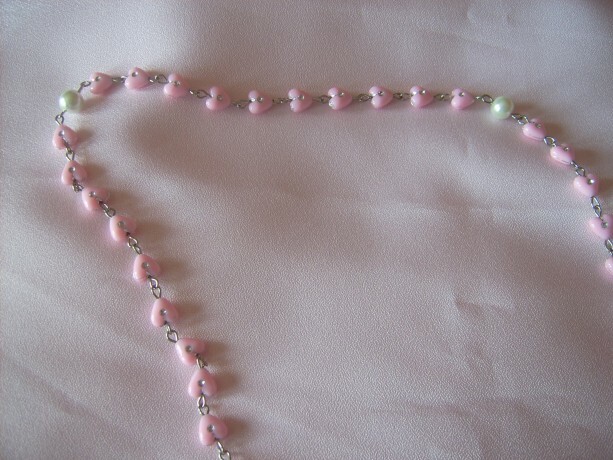 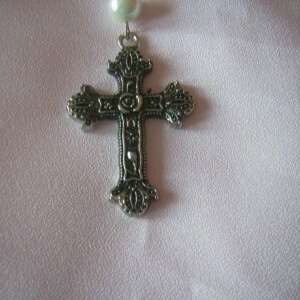 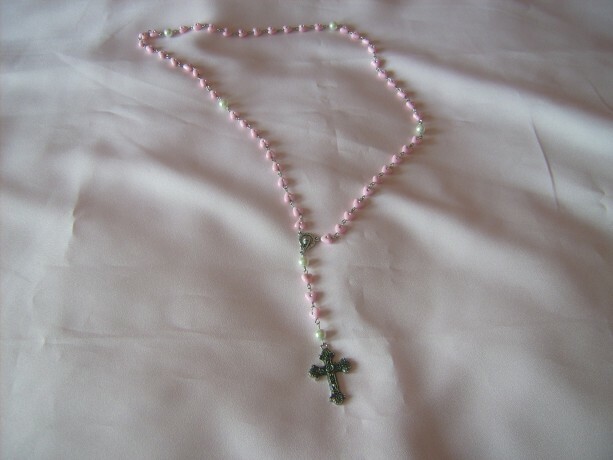 Pearls of Love are adorable Rosary/prayer beads. 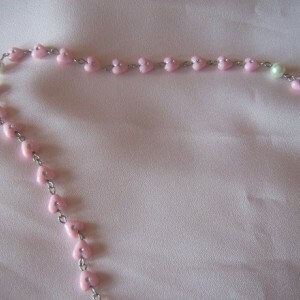 Perfect starter set for a little girl for her Baptism or First Holy Communion or religious occasion. 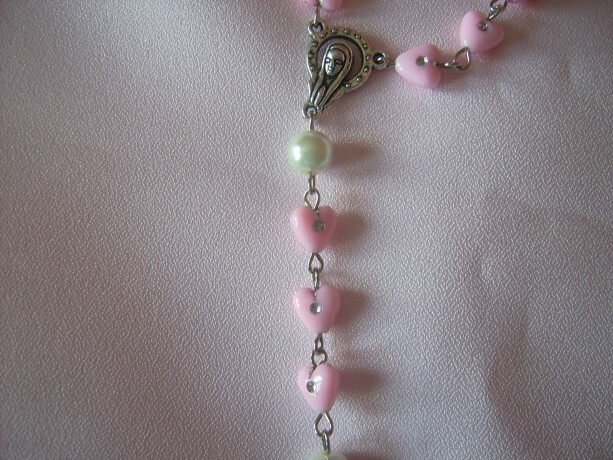 Handmade with little pink plastic heart shaped beads accented with silver paint to give it a little shimmer. 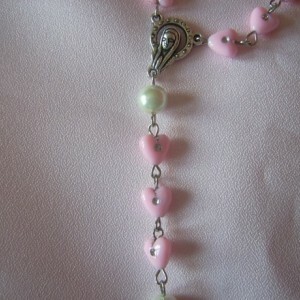 The six spacers are white glass pearls. 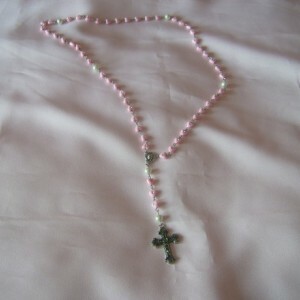 It measures 34 inches around. 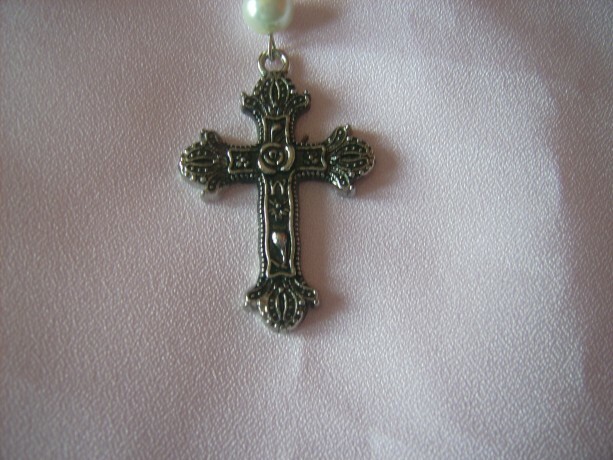 A gift to treasure.